After spending decades defending their outdated and racist mascot, the Cleveland Indians have finally agreed to make a much-needed change. As of next year, the franchise announced that it will be retiring Chief Wahoo and replacing him with a brand-new mascot that will heal their image: a white woman dressed up in a Native American Halloween costume! Hell yes, the Cleveland Indians are getting rid of that grotesque racial caricature and totally making amends. About time! According to the team’s owners, Chief Wahoo will officially be replaced by the new mascot named Tiffany, the Cleveland Indians Sorority Girl, who is a college sophomore wearing a feather headdress, tribal face paint, and leather miniskirt to attend a Halloween rager at the Alpha Delta Pi house. Starting next season, the store will no longer sell Chief Wahoo merchandise, and Tiffany will revamp the team’s image by rallying the crowd by war-whooping and tossing candy out of her Halloween Store wampum clutch purse to kids in the stadium audience. Manfred also made sure to note that Tiffany has 1/64th Cherokee ancestry, so the costume is basically celebrating her own heritage if you think about it. Thankfully, come 2019, Indians fans will be able to breathe easy knowing that Cleveland’s history of offensive mascots is now far behind them. 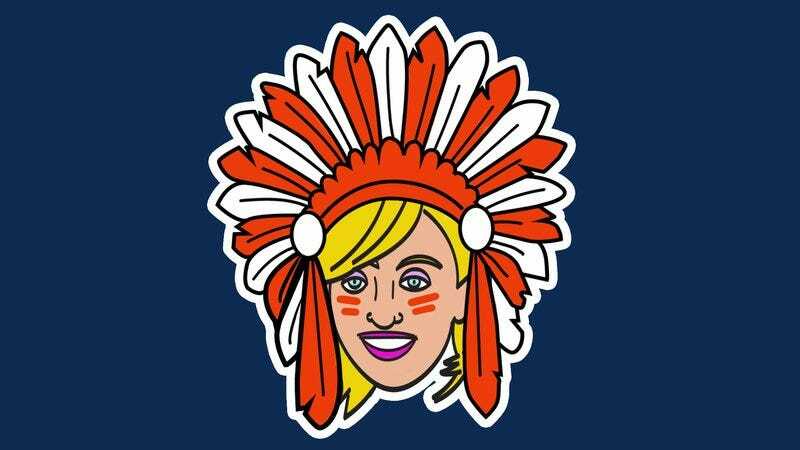 So, next year when Tiffany is rain-dancing on the field, smoking her peace pipe, and mischievously shooting her toy suction cup arrows at players, fans will be able to enjoy themselves knowing that the Cleveland Indians have totally made amends!